It seems as if Caesars long-awaited 2018 batch is moving closer now. I'm aware of the quite numerous single threads about the upcoming figures, but prefer a general thread which gives a overall view of what can be expected. Caesar started to show more detailed pictures of the actual figures lately. Looking very much forward to a another batch of new Caesar sets. Contents don´t appear to match the boxart....with reason? Do you possibly know if Caesar will replace that set with another one? Or will it be just 4 sets this time? I believe only 4, except for the surprises. 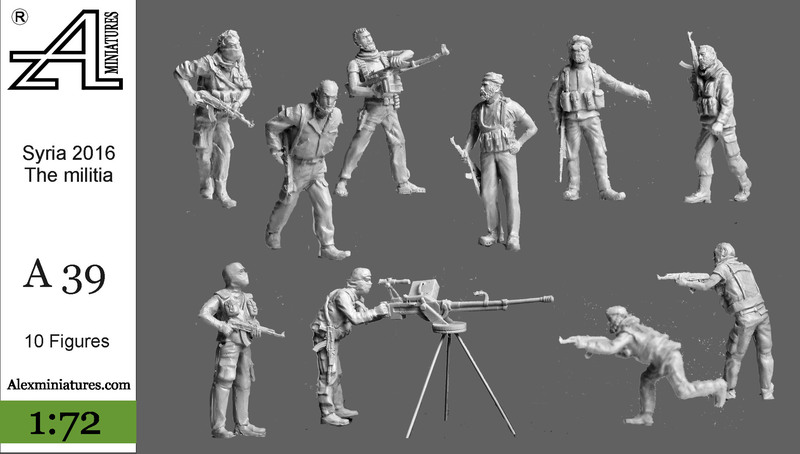 13 poses for the Militia set. Neat. I hope the poor hostage isn't single packed, though it probably will along the knife wielding executioner. KenzoSato wrote: I believe only 4, except for the surprises. Next preview of upcoming figures, one more to come. There was that awful televised execution of an American electrician contracter in 2003 some time. H101 appears to depict the start of that scene. I never watched it but some of my friends did, and they said they regretted doing so. As for the Russians, I don't speak Russian, but it seems very unlikely to me that they call their tank crews "Panzer Crews." If they have a Heavy MG on the cover they should really have one the box as well. Something Went wrong with the masters? 13 useful & reasonable poses and -as always with Caesar- excellent sculpting. That's it in terms of officially announced figures for now. Let's hope for a surprise or two then! Thank’s for sharing, hope to see it soon in the shop. A lot of new poses for this set! Any ideas when these will be out? I like the German tank riders, ISIS types, and US Modern AFV crew....the others don't excite me but I am sure will be useful. PSR shows the pictures of the 4 latest Caesar releases at their "Awaiting Review" section now. So the concluding reviews should be imminent. Maybe helpful for those who (like myself) waited for good & clear scans of the figures before placing an order. Will add all 4 sets to the stash anyway now... .
Good catch Eric. The figures look good, the weapons, not so much. It would be great if there were hard plastic 1/72 modern weapon sets like you see in 1/35 so that the soft bendy weapons on the Caesar modern sets could be replaced. one of the numerous reasons why Preisers 1/72 sets are so sought-after is that they often contain a lot more weapons and equipment than the respective number of figures requires. If you can get hold of any of their 1/72 sets you'll automatically obtain some spare weapons to replace inadequate soft plastic ones. Caesars hard plastic sets (CM-series) also offer way more weapons & gear than needed. And of course there are many 1/72 "after-market" manufacturers offering weapons-sets in resin or photo-etched metal. ACE, Calibre 72, Mini World or OKB Grigorov for example. Although I would also appreciate some genuine & proper weapons-/equipment-sets in hard plastic, we're not without options so far. 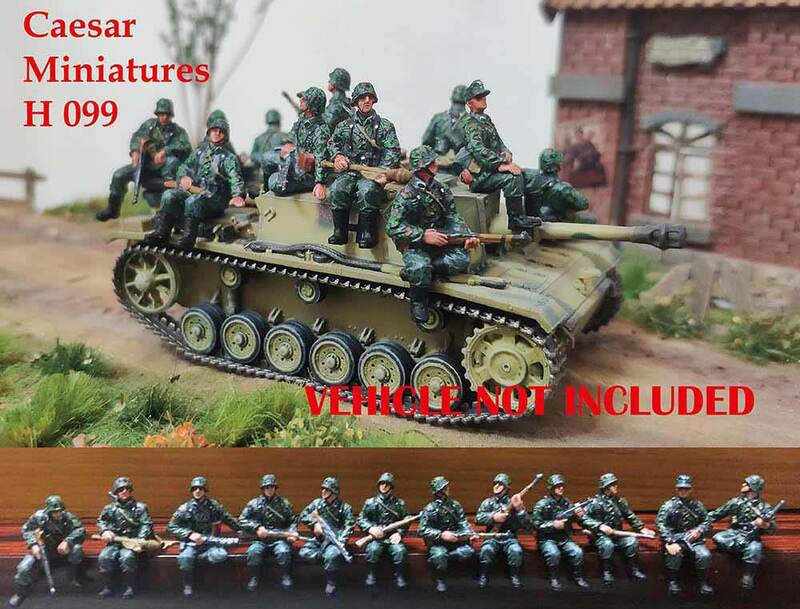 I have a Preiser set with hard plastic weapon sprues, also I have the Dragon PaK 40 set with crew that includes hard plastic weapons and equipment which is wonderful. But those are both WWII German weapons and equipment only. I was specifically referring to modern weapons. 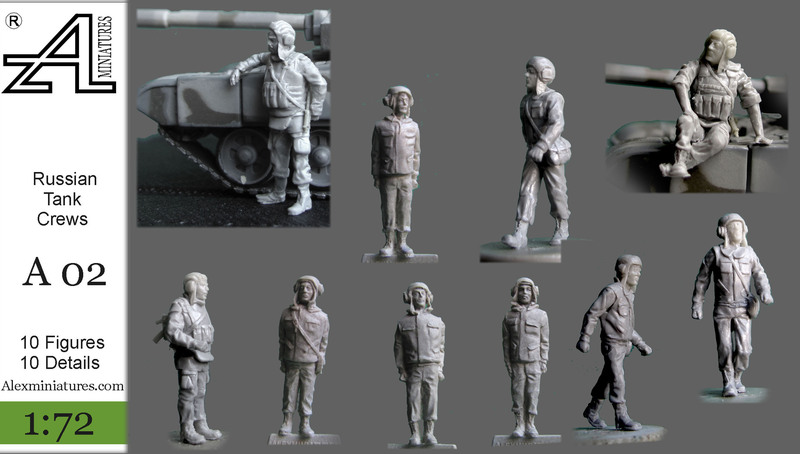 Trumpeter released a series of modern weapon sprues in 1/35. 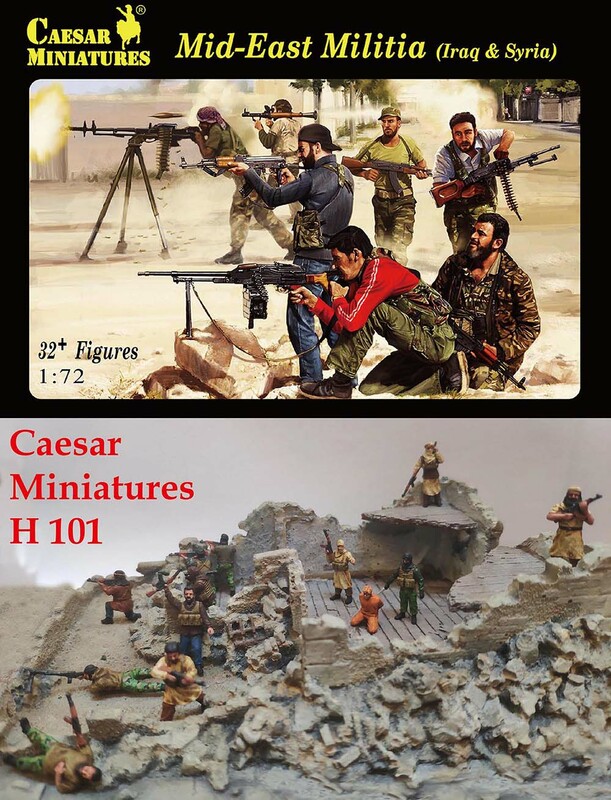 I would love to see those in 1/72 for use with the Caesar modern figures. I don’t think I have seen any hard plastic 1/72 modern sets. I have seen M4 carbines in 1/72 on shapeways but that’s it and I’m still a little hesitant about buying 3D printed models, the prices are high and the previews are always CAD images so you don’t know what to expect in terms of the ridge lines you often see on 3D printed models when images are posted online. Modern is always been on my want list, especially now that T-Model is making 1/72 MRAP and MaxxPro models. there are at least 4 modern US sets available from Preiser. PSRs Preiser index can be a bit confusing because they list many true H0 sets (1/87) as well. One of the misconstrued sources for the mythical "100 sets of WWII Germans" in the Book of 1/72 Legends... .
One more is still announced, although it could take several years until its release. 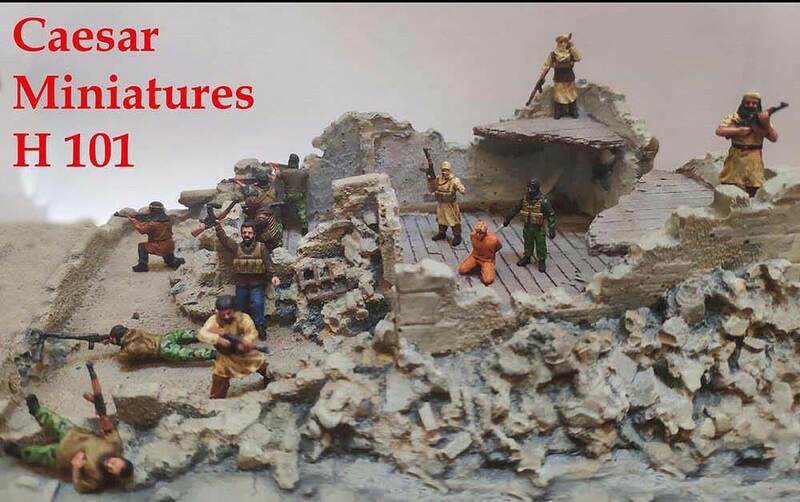 Although the sets are all labelled "modern", some are more appropiate for late Cold War and some are better for early 2000's Afghanistan/Iraq. 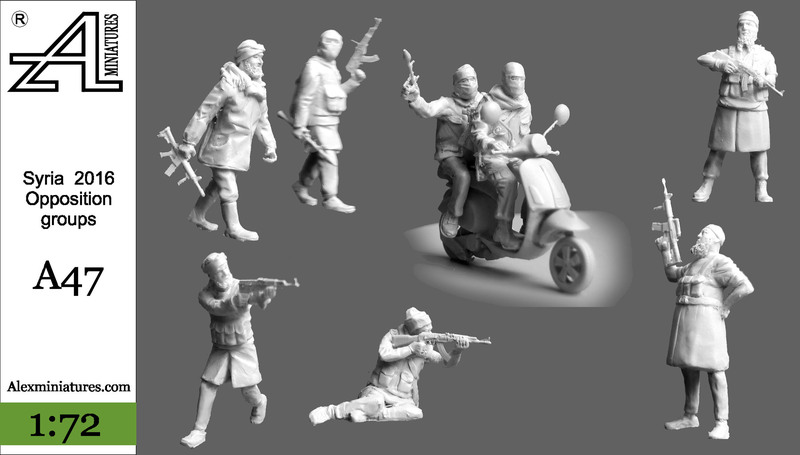 Regarding modern russian weapons, the latest ModelCollect/Caesar set could be interisting for you. The figures are available seperately as well afaik. As mentioned before, in general I also would love to have such hard plastic sets you're referring to. Till then we can take suitable surplus weapons from the mentioned figure sets and use the customary alternatives in resin & metal. ... some "modern" (well, at least post WWII) examples. Hope this helps a bit? I also look forward to the arrival of "Caesar"